Purchased in 1891. From the Sanctuary of Diana in Nemi. 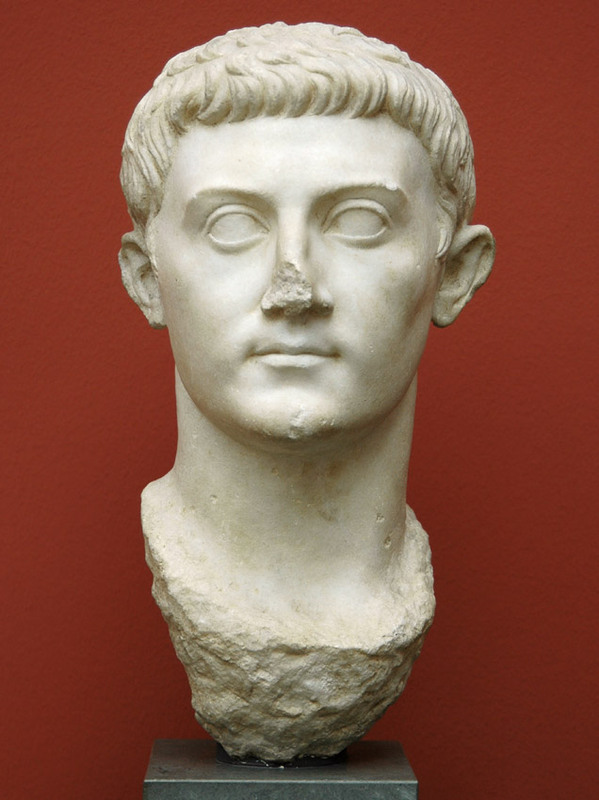 This portrait has been connected with a colossal portrait of Germanicus from Leptis Magna (V. Poulsen, Claudische Prinzen (1960) 7ff, fig. 2). This portrait can thus be referred to as the Leptis Magna type. K. Fittschen has suggested Drusus Minor, but Germanicus is more likely. Its execution is certainly posthumous (sometime after 19 A.D.), during the reign of Emperor Tiberius. The tip of the nose, as well as the edges of the earlobes, are battered. The neck is formed for insertion upon a statue. On the neck, there are remnants of the edge of garment. Purchased in 1891 from Count Orsini, through the mediation of Helbig, along with other sculptures from the Sanctuary of Diana in Nemi. A more precise account of the circumstances of its discovery is not known. F. Poulsen 1951, Cat. 644; V. Poulsen 1973, Cat. 51; Vostchinina, Portrait, no. 11, 143; Kiss, L’lconographie, 118, 147, fig. 418—19; Fittschen, Erbach, 47, B 13, 48 ff. ; A.-K.Massner, Bildnissangleichung (1982) 89, no. 1, Taf. 17b (incorrect I.N. no. ); K. Fittschen, I Ritratti di Germanico, Universita degli Studi Macerata 39 (1987) 209; D. Boschung, JRA 6 (1993) 60. © 1994. F. Johansen. Catalogue Roman Portraits, vol. I. Ny Carlsberg Glyptotek, 1994, p. 128, cat. no. 52.